The details of any organized event can now be recognized by Google and become relevant for enhanced search results for evenly relevant queries. Set up important scheduling, location and artist data to show up along with your event's description on Google Search. From the main menu choose Components -> Google Structured Data. 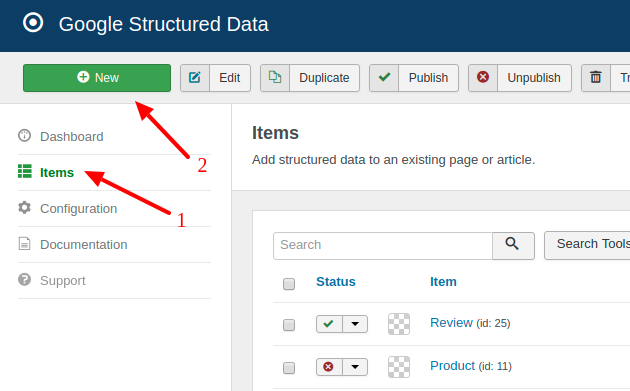 Click on Items from the left sidebar and then on the New button to create a new Structured Data Item. On the next page, you will need to prepare the Structured Data Item. 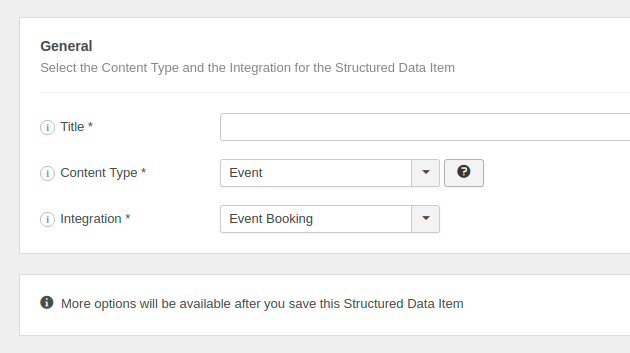 Enter a Title (it can be anything) and select the Event Content Type from the respective dropdown. Τhe Integration option may vary depending on the component you want to markup at that time. View the Supported Integrations. Next, click to save the Structured Data Item. 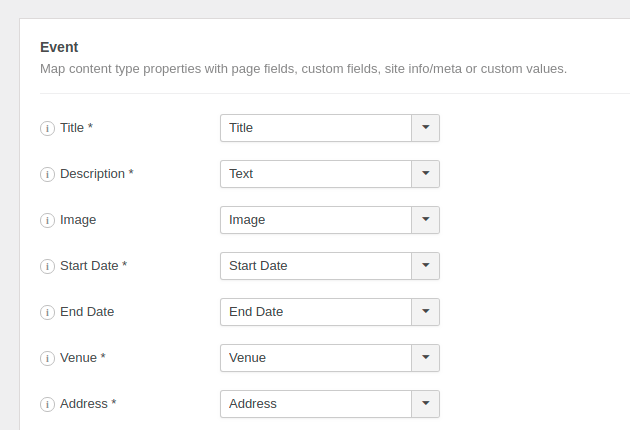 Once the page reloads, a new section called Event appears below where you can map each property with page data. To read more details on how the mapping works, visit the respective section in the How to Add Structured Data to Pages guide. Here's a table of the properties you can define in the Event Content Type. Description The short description of the event. Image URL of an image or logo for the event or tour. It's recommend that images are 1920px wide (the minimum width is 720px). Start Date The start date and start time of the event. End Date The end date and end time of the event. Rerformer Type The performer's Type. Eg: Person or Performing Group. Event Availability The Event Availability. One of the following: InStock, SoldOut, PreOrder. Sales Start Date The date and time when tickets go on sale (only required on date-restricted offers). Price The lowest available price, including service charges and fees, of this type of ticket. Tickets Quantity The current approximate inventory level for the tickets sold. General rule: Always markup content that is displayed on the page to visitors. Doing otherwise you may end up with a Spammy Structured Markup Penalty.